Former Southern Saint Selena Karlson has signed with St Kilda ahead of the 2020 AFLW Season. Selena Karlson has returned home, becoming the latest St Kilda signing ahead of the 2020 AFLW Season. 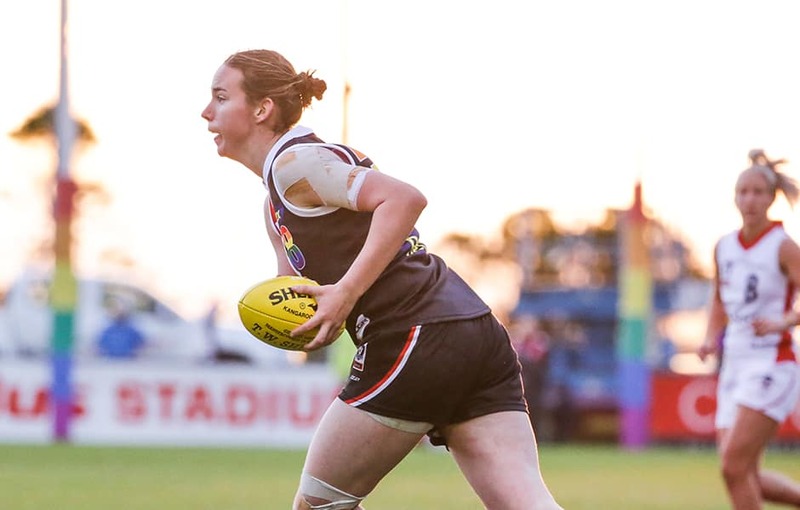 After an impressive campaign in red, white and black in the VFLW last year, Karlson was one of seven Southern Saints to be selected by an AFLW club. The 20-year-old was taken by the Bulldogs with pick No. 34 in the 2018 NAB AFLW Draft and played three games at the senior level. At 180cm, Karlson’s height and strong overhead ability mean the lock-down defender is often tasked with the job on the opposition’s key forward. Head of Emerging Football Programs Jamie Cox said he was thrilled to welcome Karlson back to the Saints. “It’s absolutely terrific that Selena’s come back to the footy club,” Cox told saints.com.au. “She was a really strong defender for us and a real General across the backline, so she’ll add a reliable voice down back. Karlson becomes St Kilda’s seventh signing as the Saints gear up for AFLW 2020.